Attaining a sensuous bronze like shade to one’s complexion may seem to be an irresistible prospect for many but before hitting the tanning bed it becomes one’s duty to thoroughly understand the risks of tanning beds. There might be several ways to get tanned without going near the tanning bed, but whether out on the beach or incidentally under the scorching sun the harm that the suns UV radiation causes is similar to the risks of tanning beds. It is generally understood that all forms of tan are harmful for one’s health whether the tan is acquired from the sun or a tanning bed. But doctors are now of the opinion that the tanning beds may cause even more, if not less, harm to the skin because it emits a kind of UVA rays that are known to penetrate way deeper that the sun’s rays which have a combination of UVA and UVB; therefore the risks of tanning beds are far greater and so the tanning bed becomes the bigger enemy. Tan of any kind is never a good news. In the beginning of the century it was widely believed that the bronze like tinge to the complexion hinted at good health and lively spirit. This fixation for a darker or “healthier tone” as opposed to the pale white pallor gave rise to these tanning beds. People back then were ignorant of all the risks of tanning beds but now with the advancement of science and medicine research has proven that tanning beds are directly related to the deadliest form of skin cancer called melanoma. The most fearful of all the risks of tanning beds is that it is carcinogenic in nature. After many such research conducted over many countries there seems to be no doubt that tanning beds are one of the causes of skin cancer. The risks of tanning beds are higher in the case of youths as studies have shown that people affected by skin cancer are usually less than thirty five years old who are frequent users of tanning beds. Melanoma is known to affect the deepest layers in the skin and damage the cells and what is worse is the fact that it spreads rapidly. Tanning beds or other severe tans and sun burns lead to damage in one’s DNA by altering its sequence and this has also led to the increase of squamous cell and basal cell cancer depending on the total amount of exposure to the harmful effects of UV radiations over a period of one’s lifetime. The risks of tanning beds are therefore not minor but life threatening. Tanning beds are not only hazardous for one’s skin because it increases the risks of cancer but the risks of tanning beds have a lot to do with poor eyesight as well. If tanning beds do not provide the users with proper protection then one can ever get cataract, crow’s feet or corneal burns around one’s eyes. Many salons having tanning beds will probably brush the suggestion of skin burns in tanning sessions aside with the stroke of a casual arm but there have been many such cases reported over the years thereby keeping one from taking it lightly. Both the UVA and UVB radiations are unanimously associated with skin cancer or melanoma. These radiations are all part of the tanning bed session and so the risks of tanning beds are always intact no matter how safe the salon proclaims to be. 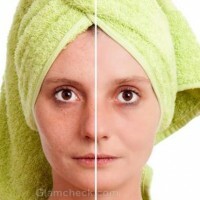 The UVA radiations cause more long lasting damages to the skin in the form of premature wrinkles, freckles and other sorts of DNA hazards that result in skin darkening and melanoma whereas the UVB radiations are comparatively less harmful because instead of DNA damage it causes flaky sunburns and other skin irritations. The salons are equipped with tanning beds and machines that emit UVA radiations to the customers because these rays provide the users with a glow and do not cause any apparent sunburn. The intensity of this kind of UVA radiation, one will be shocked to know, is usually ten to fifteen times more than what the sun emits at peak noon so the risks of tanning beds are indeed enormous. There can be no “safe” UV radiation so do not fall prey to their false talks. What is frightening is that these tanning beds often exceed the tolerable limits of UV radiations and therefore further increase the risks of tanning beds. The risk of melanoma increases after each exposure to these UV radiations. The people who fall under this age group are more prone to acquire skin cancer because of the rapid cell changes that take place within their bodies. Frequent visits to the tanning beds increase the risk of skin cancer among this age group so it is wise to stay miles away from the risks of tanning beds at this early age. The attraction for tanning beds are high because it tends to hide one’s pimples are other imperfections relating to one’s skin but in the process they cause irreversible damage to youngsters who should have known better. The ones who are making bags of money will obviously be reluctant to give it all up. The salons with tanning beds have come up with various reasons, which can be sometime hilarious, to counter the blame that there friendly machines are causing deadly cancers. They avoid all topics related to the risks of tanning beds by saying that tanning beds are a good source of the much needed Vitamin D that is usually supplied by the sun in order to keep away from osteoporosis. There are various other ways of attaining Vitamin D, there are many kinds of food products that will provide the body with all the Vitamins it requires so there is no need to jeopardize one’s health by visiting a tanning bed for a little supply of Vitamin D. And in any given day anyone would chose osteoporosis over cancer! It is indeed quite alarming to find the number of people who are currently suffering from skin cancer because of unregulated exposure to the harmful UV radiations received in tanning beds. The risks of tanning beds are indeed life threatening and so there should be strict laws made by the government in order to eradicate such hazardous practices.